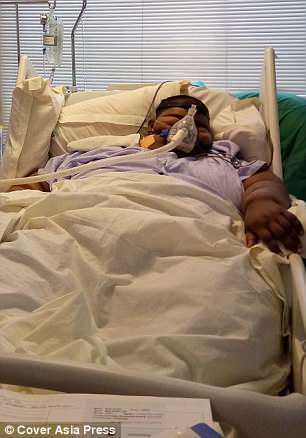 The world’s fattest teenager who weighed a staggering 37 stone (523lbs/237kg) just seven months ago has dropped more than 15 stone (220lbs/100kg). 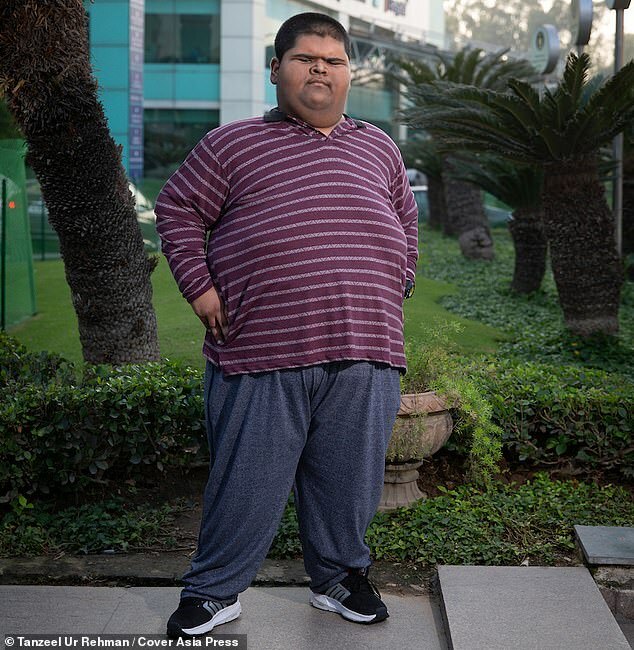 Mihir Jain, 14, from Delhi, India lived on fried food and fizzy drinks, but following his gastric bypass surgery in April, he now sticks to a healthy diet and weighs 22 stone (308lbs/140kg). 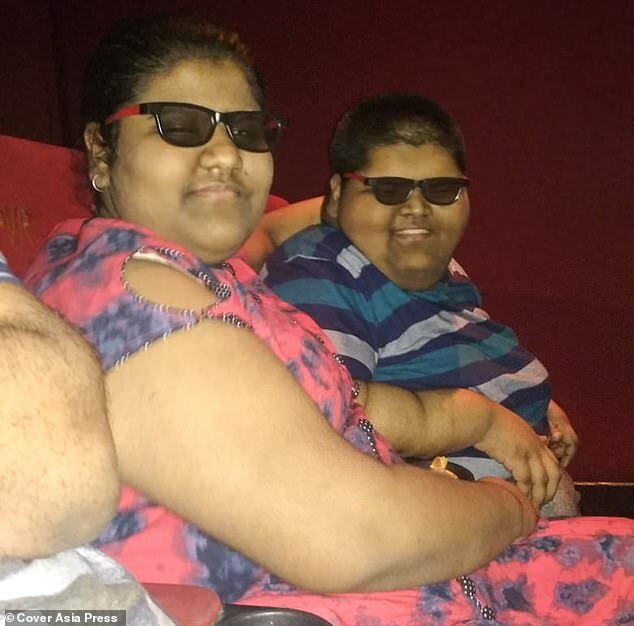 The Marvel comics fan’s recovery has been so successful that he is now able to walk unaided and last week visited a cinema for the first time in his life – to watch the new Venom movie. ‘I feel very good. I cannot believe I have reached this weight. It’s been hard work but it’s worth it,’ Mihir said. ‘I was determined to do what the doctor suggested. And when I lost weight on my own it gave me the determination to keep going. 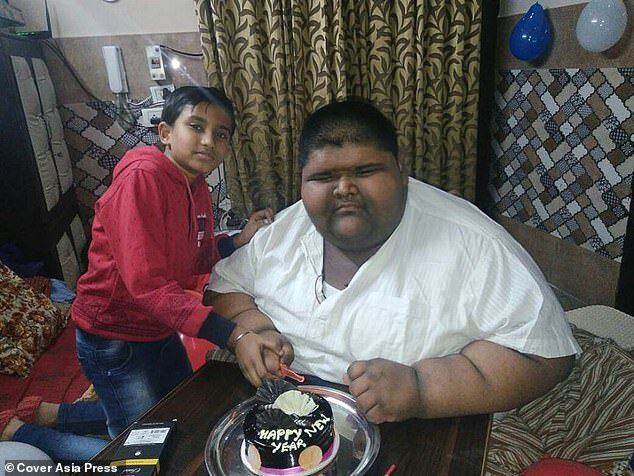 His mother, Puja Jain, 35, said: ‘We first realised he had a problem when he was five and the doctor told us he was obese and needed surgery. But he was too young so he gave him some medicine instead. ‘But that medicine had side-effects, which meant he lost energy and became weak on his legs. Growing up in a vegetarian family, Mihir’s daily diet would consist of fried potato and vegetable cutlets, rice and vegetable curry, more potatoes, ice cream, full-fat milk, milky coffee and fizzy drinks. Even though Mrs Jain admits that Mihir’s addiction to fried food is the cause of the problem, she believes the medication made the situation worse. As he was bed-bound, Mihir had to be home schooled, and says he eventually lost touch with all his friends. Mrs Jain said: ‘He was very angry sitting in one place all the time. Every child wants to go here and there and spend time with friends, he was sitting in one place all the time so he was very frustrated. 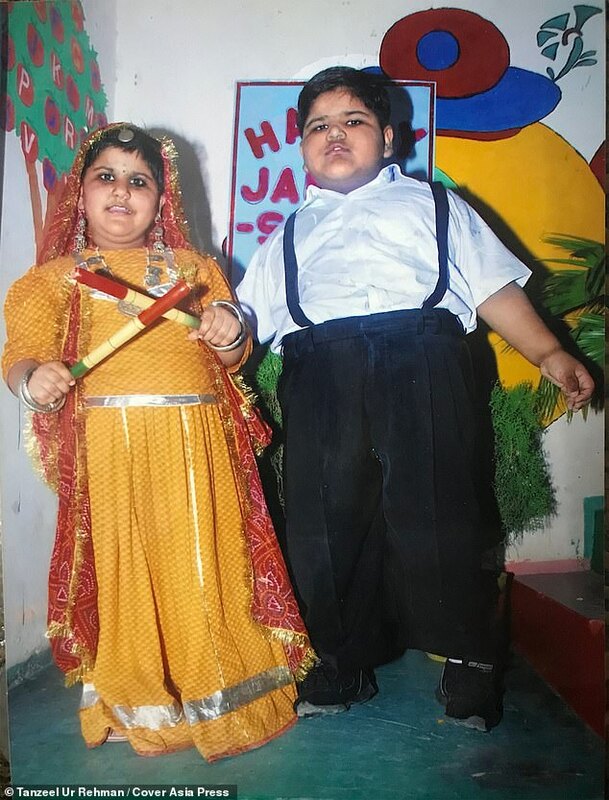 When Mrs Jain and her husband Rajesh, 37, finally went to see a doctor about bariatric surgery in 2013, Mihir was so big he couldn’t walk properly. ‘The doctor said he needed to see him but we couldn’t get Mihir out of the house at the time,’ she added. 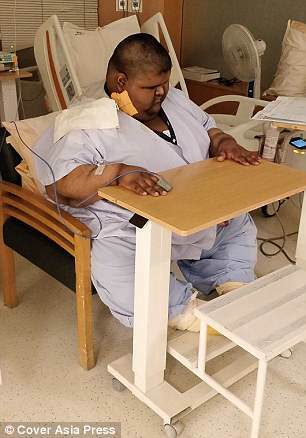 Mihir eventually made it to a hospital in December 2017, at which point the 5ft2in tall teenager weighed more than 37 stone (523lbs/237kg), and was suffering with diabetes, breathing issues and high blood pressure. 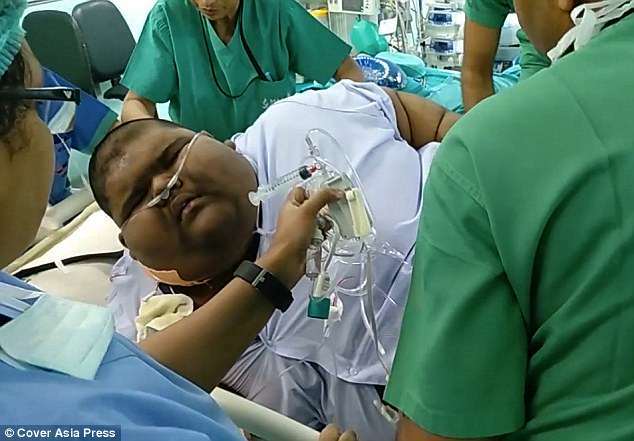 It is thought this made him the world’s heaviest child, a title previously held by Arya Permana, also 14, from Indonesia, who shed half of body weight after a life-saving gastric sleeve operation. 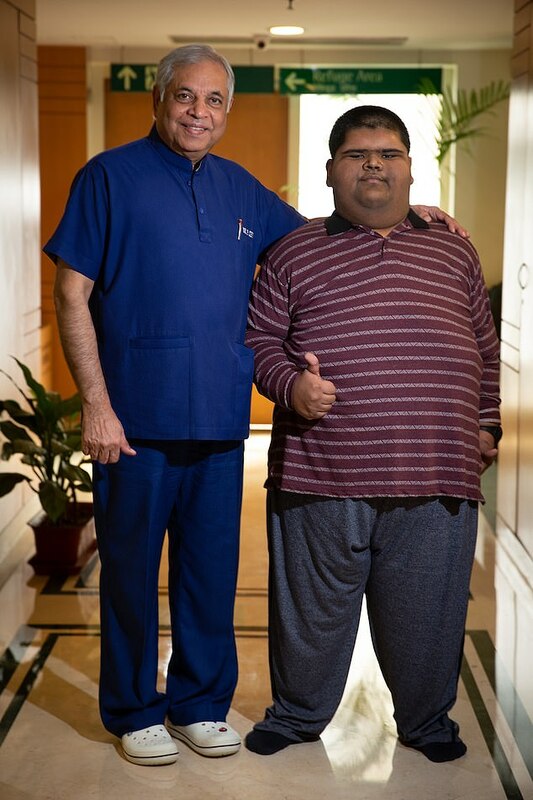 Mihir was promised a gastric bypass, if he was able to lose some weight first. He was put on a high protein diet for three months, and dropped to 31 stone (434lbs/197kg).